For all intents and purposes, Jennifer Garner was ready to file for divorce from Ben Affleck earlier this week and wipe her hands clean of the whole mess. So obviously, we were all like, FINALLY. After all it’s been years! Years that we could have been covering another couple’s conscious uncoupling, but have instead been stuck covering these two. Will they get back together? Will they stay apart? Will he hook up with another nanny? Will they fight over custody? Will they keep peacefully co-parenting? At the end of the day, Ben Affleck’s and Jennifer Garner’s fans and the tabloids were sick of it – and the tabloids never get sick of anything! Hence, this latest story. So earlier this week, we’d heard that Jennifer was ready to file for divorce. But now, Gossip Cop has come out with a denial, saying that Jennifer was never actually going to file for divorce from Ben. Do you mean to say that Jennifer Garner is finally willing to stick up for herself? You think that she didn’t turn a blind eye during all those years that they were married, and that she will continue to do so as long as it benefits her career and image? Right now, nobody – and I do mean nobody – would dare to utter one negative word about her. After all, she’s the saint who put up with a husband who was reported to be cheating more than once, but for the sake of their children and family, stayed with him while he worked through his alleged issues. How do you say something bad about someone in that situation? But if Jennifer were to divorce him – well, sure, she’d have the sympathy vote for a little while, but after that? It becomes open season. What do you guys think? 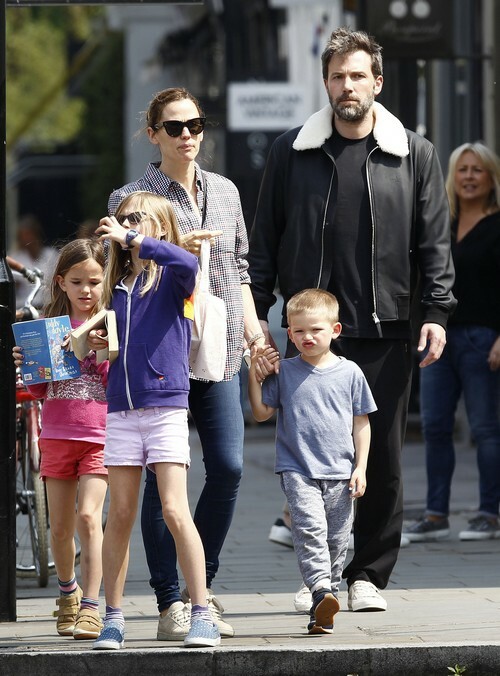 Will Jennifer Garner EVER file for divorce from Ben Affleck, or is this all moot because the two are far too dependent on each other to ever really go their separate ways? Let us know your thoughts in the comments below. Matt Damon Overjoyed BFF Ben Affleck’s Marriage Failed – Jennifer Garner Not Right For Him, Couple Doomed From The Start! Ben Affleck and Jennifer Garner Never Intended To Divorce In The First Place – Couple Staying Married?